It started in support of a military dictatorship. While the Dutch government are preaching “austerity” to their citizens, they planned to spend lots of money on neo-colonial war in Mali. EU COUNTRIES will deport failed asylum-seekers to war-torn Mali, the bloc announced yesterday after concluding a deal with the west African country. The agreement includes commitments by the European Union to support Mali’s economic development, the introduction of biometric passports and improving security in the country’s north. 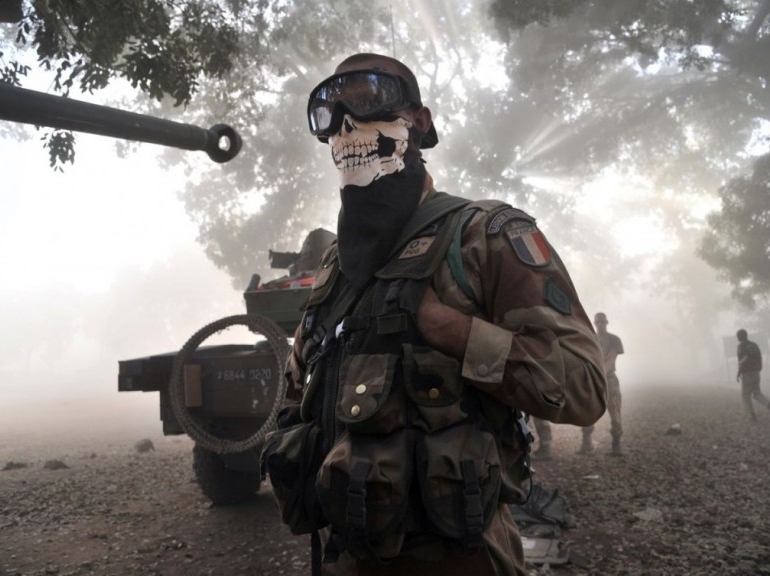 Former colonial power France sent troops to Mali in 2013 to combat a Tuareg insurgency increasingly falling under jihadist influence following the Nato-backed overthrow of Libya’s government in 2011. This entry was posted in Human rights, Peace and war and tagged European Union, Mali, refugees by petrel41. Bookmark the permalink. TAMIKREST hail from Kidal in Mali and in this, one of their only two performances in London, their lingering electric-guitar riffs transported the sell-out audience to another time and place — the sun-glazed horizons and dusty plains of North Africa. Cafe Oto’s whitewashed walls and bare wooden furniture lent itself to the pared down desert-rock rhythms that carried a hint of off-beat reggae. Yet behind the chilled exterior of the band and their meditative music, there’s a turmoil of emotion and rebellion. The nomadic Tuareg people count Kidal — the name of Tamikrest’s fourth album, released in March — as their main cultural and spiritual hub. Yet five countries are trying to profit from the land and people, lead guitarist Ousmane Ag Mossa told the audience. He explained that the music is their way of spreading the message globally about the troubles facing the Tuareg people which, as well as corporate greed, include problems with droughts, farming and education. The perceived oppression by the Malian government was voiced in mournful lyrics and the tone and feeling resonantly communicated the sense of trouble and trauma to the audience. Yet we were left upbeat and with a sense of hope for the defiant Tuareg and an understanding of those fighting for a place called home.